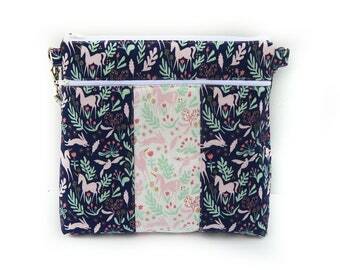 The Fairy Forest crossbody bag is the definition of functional fashion. 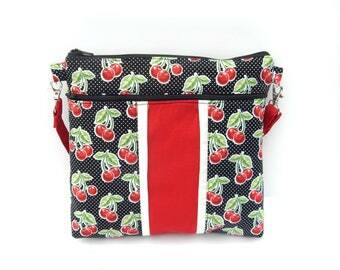 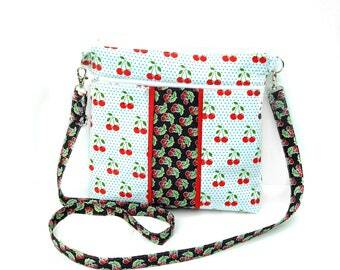 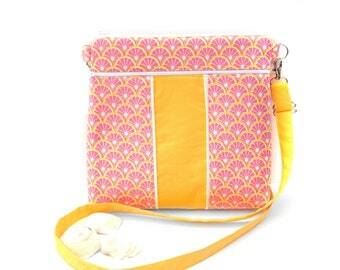 With an adjustable long strap, this purse is easy to wear as a shoulder bag or crossbody bag. 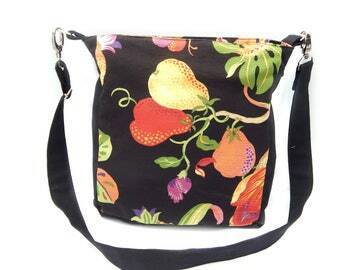 With the short strap, it becomes a stylish purse or satchel for wearing or carrying. 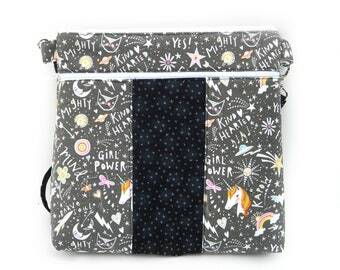 This casual, on-the-go bag also features two zippered pockets — one main compartment and one exterior pocket, as well as five interior flat slip pockets. 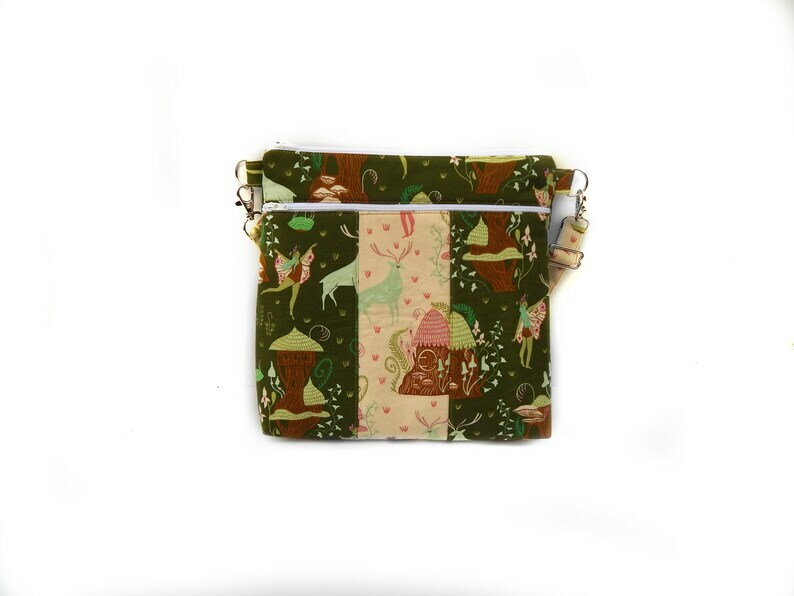 The fairy forest design pops on the contrasting green and beige backgrounds, creating the right splash of color to your ensemble. 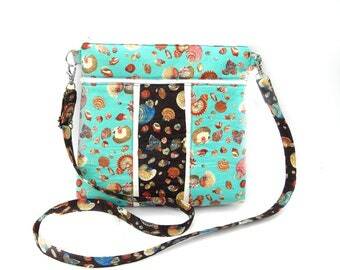 When it comes to personal style, this bag is…everything! 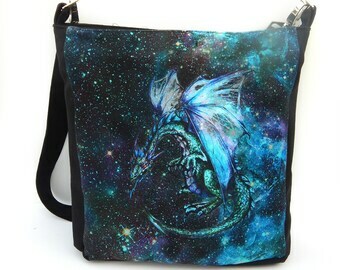 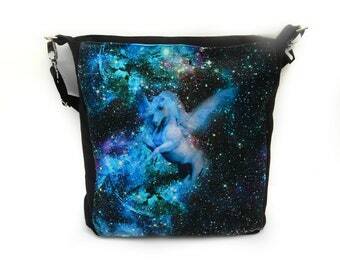 ** You will receive one Fairy Forest handbag. 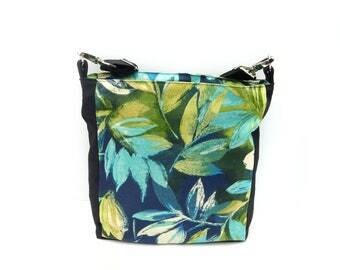 This item was made with a pattern drafted by Sewn Ideas.